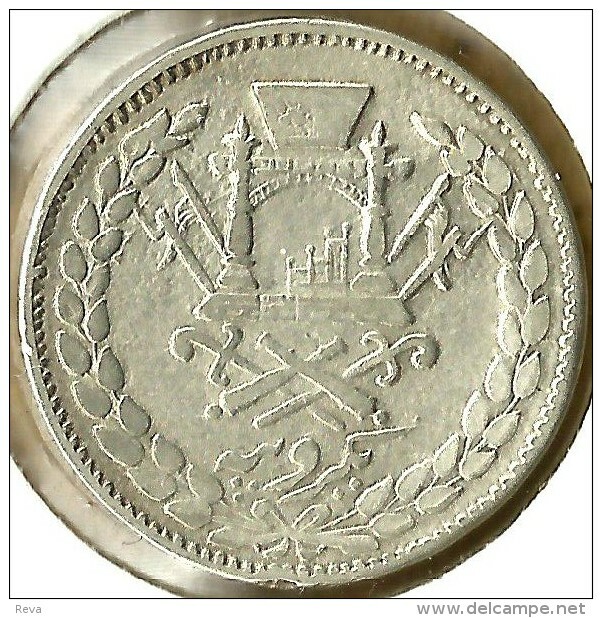 Afghanistan - AFGHANISTAN 1 RUPEE WREATH INSCRIPTIONS FRONT EMBLEM BACK 1334-1915 AG SILVER KM853 aEF READ DESCRIPTION CAREFULLY !!! PLEASE NOTE : I DON´T HAVE CATALOGUE FOR IT. INFO FROM THE DEALER !!!! SCANS SHOW ACTUAL COIN ON OFFER . I AM TRYING TO PUT CONDITION AS ACCURATLY AS POSSIBLE. I DON´T KNOW ANYTHING ELSE ABOUT IT. .
IT´S aEF/aEF . IT LOOKS LIKE IT WAS SHORT TIME IN CIRCULATION BUT HANDLED OVER YEARS CONDITION DEALER GRADED WITH ALL INSCRIPTIONS STILL CLEARLY VISIBLE . PLEASE NOTE : SCANS SHOW REVERSE & OBVERSE OF ACTUAL COIN ON OFFER !!!! COIN IS ENLARGED 499% TO GIVE BETTER VIEW. Postage € 1.95 (AT YOUR RISK) on this coin ( more coins postage depends on weight) AND insured if required € 9.50 STRONGLY RECOMENDED. PAYMENT BY CASH OR PAYPAL ONLY ( Paypal payment 3.99% fee is extra). PLEASE NOTE : BID IS ON 1 (ONE) COIN O N L Y !!! 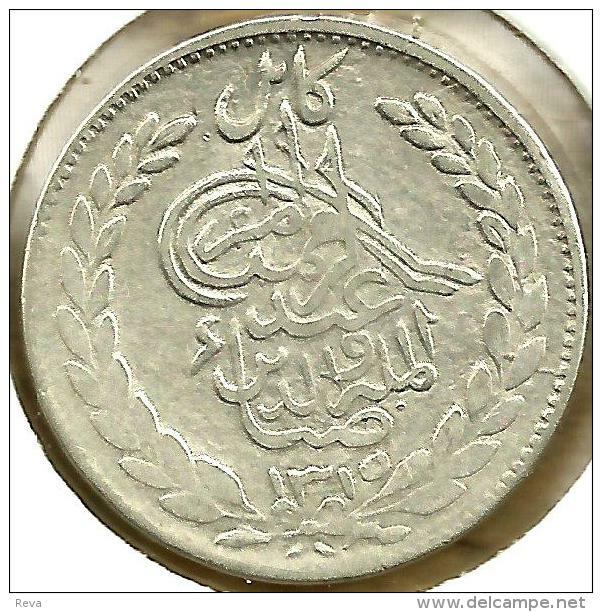 AFGHANISTAN 1 RUPEE WREATH FRONT EMBLEM BACK AH1315-1897 EF AG SILVER KM819-1 READ DESCRIPTION CAREFULLY!! AFGHANISTAN 3 SHAHI STARS FRONT EMBLEM BACK 1300-1921 F KM 831 READ DESCRIPTION CAREFULLY!! AFGHANISTAN 2 AFGHANI WHEAT LEAVES FRONT KING MAN HEAD BACK 1340-1961 F KM? READ DESCRIPTION CAREFULLY !!! AFGHANISTAN 3 SHAHI STARS FRONT EMBLEM BACK 1300-1921 VF KM 831 READ DESCRIPTION CAREFULLY!! AFGHANISTAN 5 AFGHANI WHEAT LEAVES FRONT KING MAN HEAD BACK 1381-1961 VF KM? READ DESCRIPTION CAREFULLY !! !